There’s a lot that happens in the studio that we don’t get to shout enough about! So this is the first part of a new series looking at the work, inspiration and conversations that happen closed doors in the studio. The National Archives – We’ve recently been working with The National Archives to produce a new events brochure. We’re applying the finishing touches to the design, but here’s a little insight to one of the earlier concepts created by our new designer Sam, which features some custom illuminated lettering! 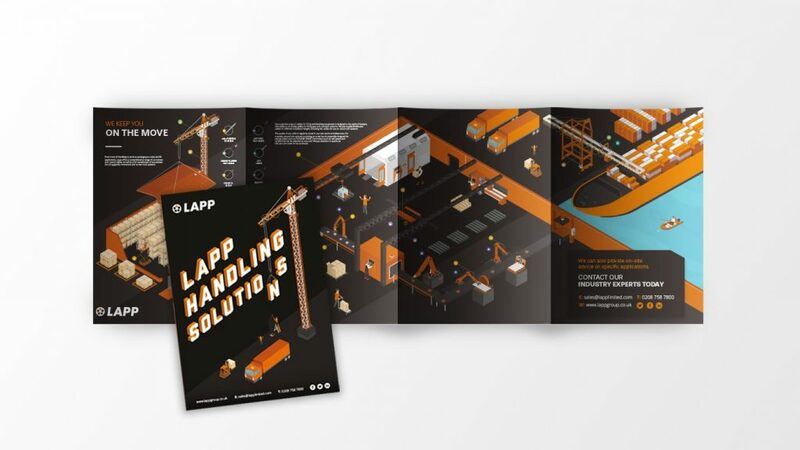 Lapp – Our DM piece for the new Lapp Lifting & Handling campaign is finished and will be with customers within the next week or so! We explored isometric illustration which tells a story of the benefits of Lapp’s products, ranging from gantry cranes, robotic arms, conveyor belts, pallet trucks and more. It was really exciting to see this project come together and to be allowed the creative freedom to push the limits of what we could do the print format. 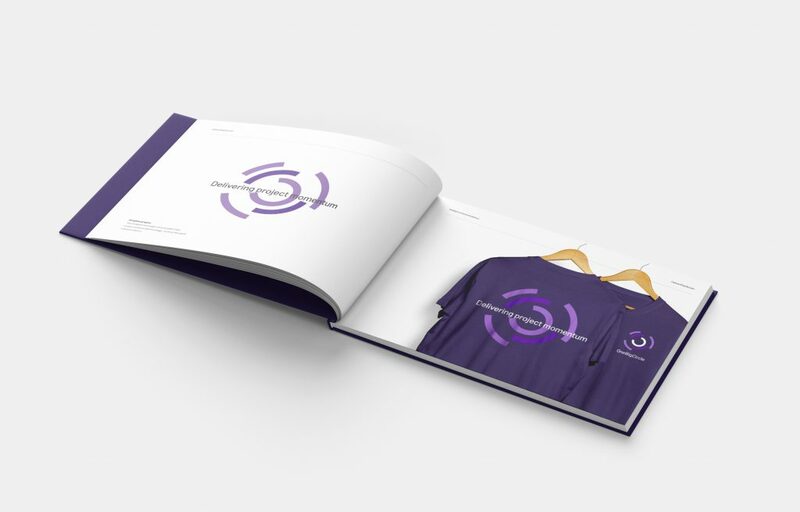 One Big Circle – We’ve just added a brand new portfolio piece to our website – One Big Circle is a software development company and we were asked to come up with the branding, which included a nice addition to our brand book collection! Lime Venue Portfolio – We’ve been working with Lime for almost 2 years delivering digital marketing and SEO. SEO is still often dismissed as a dark art, but we’ve seen a fantastic increase in organic traffic of 124% between 2016 and 2017, with great progress so far in 2018. Search visibility is a metric that gives an aggregated score of your current keyword rankings, a bit like market share for a business but just within search. April has seen us reach our highest search visibility to date, beating previously identified market leads and almost doubling our original KPIs. We’re rapidly coming towards the end of the 12 month grace period, allowing businesses to get compliant with the new General Data Protection Regulation. We know this has been on everyone’s agenda but we’re pleased projects to support clients such as Heat and Searcys get ready for one of the biggest shifts in the marketing landscape have been a success. 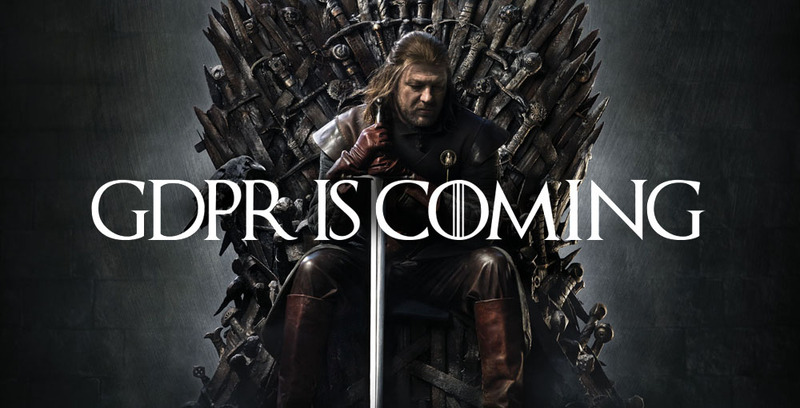 GDPR isn’t as scary as it looks, and there is still time to put in places the changes you need to get peace of mind. New team members – Say hello to our newest members of the team, Rebecca and Sam! Sam has replaced Taylor, (who is currently off travelling the world and making us jealous via Instagram), as the newest member of our design team. Sam has a wealth of both print and digital design experience, check out his custom typography for Nation Archives above. Rebecca is the first of two new marketing executives joining our team. She’s worked across a number of sectors in the past and is already helping to shape upcoming campaigns for Lime Venue Portfolio, Lapp, Flynn Product Design and a number of new clients. Our Studio Reel – Our designer Tom has been working on our studio reel over the last few months. 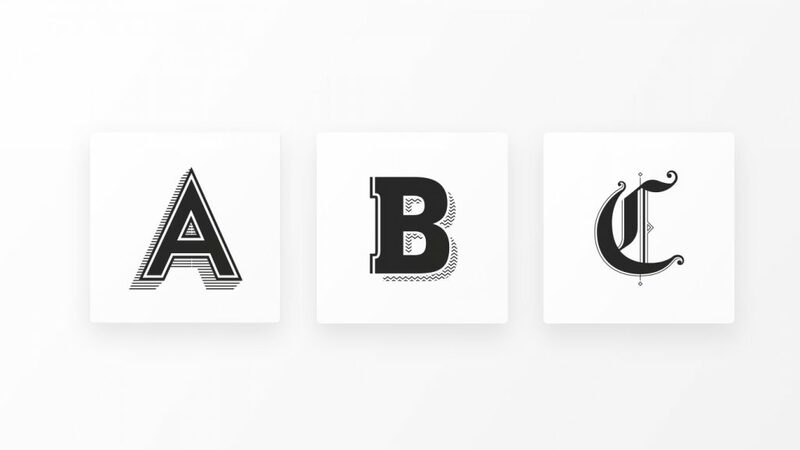 We’ll be sharing it soon, but while you wait check out this nice bit of animated typography taken from one of the most recent scenes. 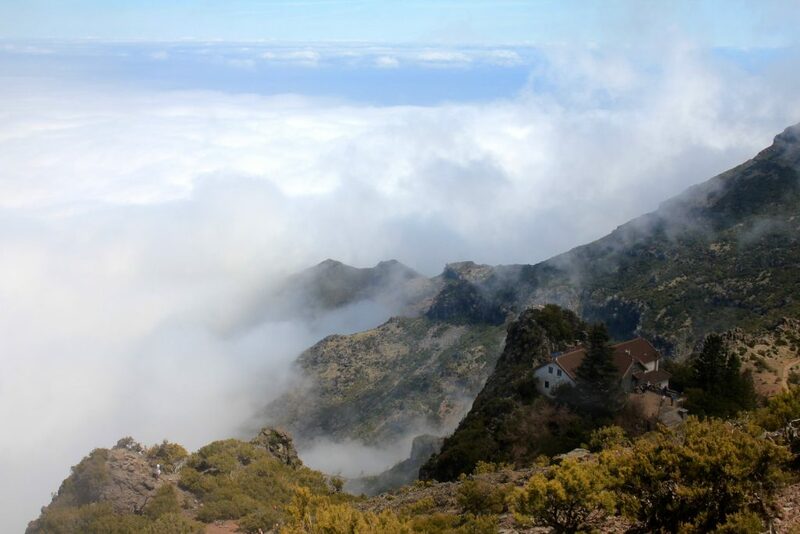 Location of the month – Sam headed off for a long weekend of mountains and sunburn in Madeira, conquering the 1862m peak of Pico Ruivo, fueled entirely by mangos and custard apples. His fear of heights was (partially) overcome, and well worth it for views like this! Inspired By… What’s inspiring you this month Rebecca?